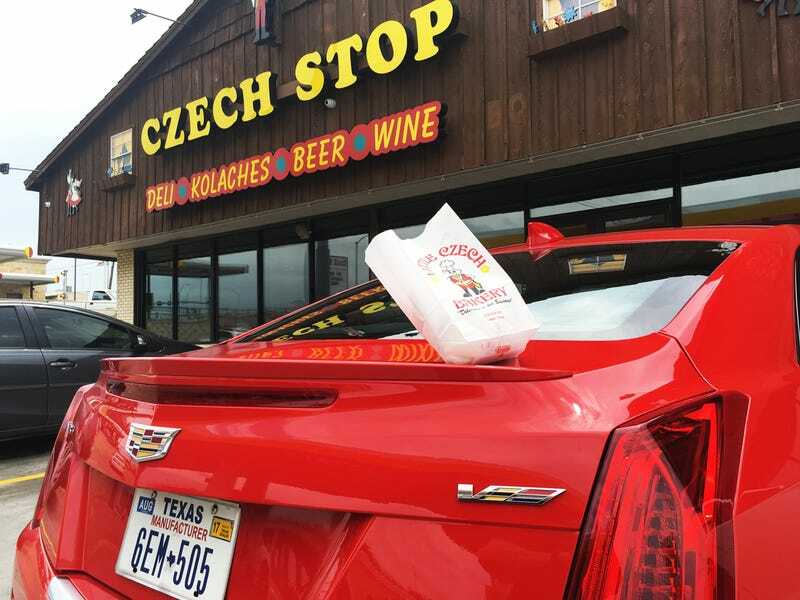 We're Taking A Cadillac ATS-V From Austin To Indianapolis, What Should We Do? The biggest weekend in American racing is almost upon us, and as usual, Jalopnik is sending a crack squad of miscreants and weirdos to cover the race. One of them is photographer and contributor Kurt Bradley, whose smoke-filled photos have often graced our internet pages. You’ve never felt nerves like those on the morning of the Indianapolis 500. As I write this Kurt is en route from Austin to Indianapolis, and we got him something that has no trouble getting places on time: the 464 horsepower Cadillac ATS-V Coupe. Kurt says he’s going from Austin to Dallas, then onto Little Rock, through Miner, Missouri and then onto the house we rented in Bloomington. A long drive, but worth it to see and shoot the 100th Indianapolis 500. You’ll be seeing a full writeup of his drive soon. So what should Kurt see along the way? What should he eat? Where should he take photos, and do burnouts, and take photos of burnouts? If you know the route, send us some tips!